* Nurul Izzah, Rafizi and KJ spotted in Bangsar … having tea, or ‘spilling tea’? 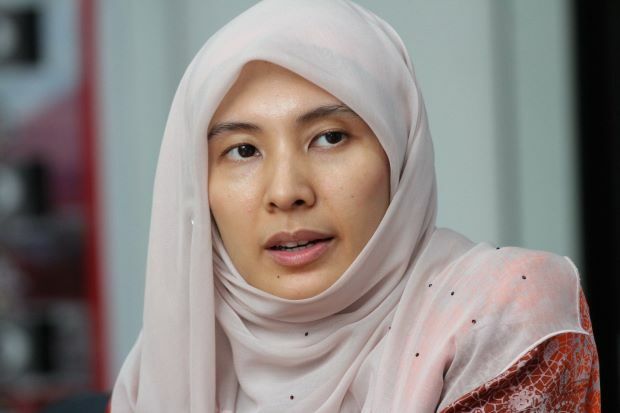 PETALING JAYA: Nurul Izzah Anwar has resigned as vice president of PKR and relinquished her appointment as the chair of Penang PKR. The Permatang Pauh MP said that she would remain a member of the parliamentary backbench committed to reforms. “My only regret is that I should have made this announcement sooner, but it has not been an easy decision to arrive at. “The pace of political developments has been relentless for the last nine months, with party elections following a gruelling general election campaign,” she said in a statement on Monday (Dec 17). Below is her statement in full. The 9th of May has been a watershed for many reasons. A peaceful transition at federal power took place, and Malaysians saw the enlargement of their democratic space for reforms to be initiated. To what end will come of the successful completion of the promised reform agenda by Pakatan Harapan remains to be seen – as such, it remains crucial that all stakeholders continue pressing for the fulfillment of the reforms, as well as the continuation of policies and programs of the previous government if proven to be beneficial for the rakyat. My journey in politics began in 1998 – more as a political awakening, and eventually as part of the central leadership of the People’s Justice Party. I thank the members of KEADILAN for according me the opportunity to serve them all this while. There are beliefs and ideals I hold dear and I feel that I can be most true to them by taking this course of action I am now announcing. I am resigning as Vice President of the People’s Justice Party, and relinquish my appointment as the Chair of KEADILAN Penang. The leadership has been informed of my decision. My work as elected representative for the people of Permatang Pauh and as a legislator will continue until my term expires. I will also remain as an ordinary member of KEADILAN. I will also no longer serve the federal government in any capacity. I leave the decision as to my role in the Penang state level government linked companies to the party leadership. I remain a member of the parliamentary backbench committed to reforms. I also leave to the leadership the decision as to my status as a member of the Public Accounts Committee (PAC). I had earlier relinquished my post as Chair of the Bills Committee in favor of the PAC. But I will continue my advocacy work as an ordinary citizen and Member of Parliament for Permatang Pauh. My only regret is that I should have made this announcement sooner, but it has not been an easy decision to arrive at. The pace of political developments has been relentless for the last nine months, with party elections following a gruelling general election campaign. Now that I have had the chance to take stock of where I stand in relations to politics, I am resolved to doing the right thing. I wish the leadership and the party the very best. « Italy next to leave EU?